If you are considering becoming a freelance translator, it helps to understand the current state of the translation industry, how it is organised, and where it is heading. According to recent studies from Common Sense Advisory, the translation industry is estimated to be worth over $33.5 billion globally. The latest estimate: in 2015 the global market is expected to be worth $47.3 billion, a rise of over 40% compared to 2012. A few top agencies control the majority of the market, and the rest is made up of tens of thousands of LSPs (Language Service Providers), typically small-medium sized agencies and freelance translators. It is estimated that there are around 640,000 translators in the world (source: Translators Association of China (TAC), a quarter of whom are freelancers. Generally, barriers to entry are low, and competition is extremely high. Due to the ever-increasing trend towards globalisation, translation is more or less considered “recession proof”. Widespread internet access and the e-commerce boom have both contributed significantly to the industry’s expansion. The translation industry’s main players are translators that work in-house for a brand or creative agency, in-house at a language service provider, or freelance translators working for agencies and/or direct clients. Large translation agencies may commission work to smaller agencies that specialise in a particular field or language, or directly to individual freelancers. A freelancer with work beyond their capacity or scope will either turn away work, or in many cases, subcontract work to other translators, becoming a hybrid translator/agency. If there is a need to reach an international audience then any type of business will require translation services at some point. Agencies can either be generalists or specialists. Some agencies target pharmaceutical, legal, and media sectors, whereas others target specific sectors. Finance, IT and legal services are the sectors which provide the largest volumes of work, with tourism and government services showing promising signals of growth. Other prevalent industries requiring translations are retail, pharma, gaming and marketing. “Translation” isn’t merely the transposition of text from one language into another. Given the diversity of sectors, clients and projects required, there are various disciplines that require additional specialisation and/or technical knowledge. Wikipedia defines localisation (or localization for our American friends) as “the process of adapting a product to a specific country or region”. The main difference between translation and localisation is that the target culture, as well as the language, must be taken into account in order to successfully adapt the product to local markets. Localisation is most often required for the adaptation of websites, software and video games and usually has a strong technical component to it. It is (or at least it should be) often followed by a QA process, carried out by native speakers. Localisation is not confined to countries where different languages are spoken: often it can be done for a single language that has regional or national differences – for example, South American and European Spanish, but also UK and US English. As the name suggests, it’s a mix between translating and creating content. Transcreators focus on capturing the desired persuasive or emotive effect of the original text and transferring it into the adapted translation. The result is a creative translation that may differ significantly from the source text in terms of vocabulary, but the message is preserved. Transcreation has become an important part of international mass communication, especially where continuity of meaning and consistent messages are important (e.g., brand slogans and straplines). Clients will often ask for a “certified translation”. In this case, the most important thing is to ask which kind of certification they need, as there isn’t a single, global certification. Generally speaking, a certification is a stamp and an accompanying letter from the agency or the translator that states that the translation has been completed by a professional translator and is, to the best knowledge of the agency/translator, of high quality and true to the original text. Additionally the translation can be notarised. This means that a notary certifies the translator’s signature on the affidavit used to certify the accuracy of the translation. To complicate things, each country has a different system in place. For example, in France and Spain, translations to be used in court will have to be carried out by “sworn translators”, a classification that doesn’t exist in the UK or the US. If you thought the only skills required for translators are language related, think again. Technology is evolving fast and it plays a pivotal role in the industry as a whole. It is used to guarantee quality, improve productivity, lower prices and improve the day-to-day management of translation projects. CAT, or Computer-Assisted Translation tools, are software packages that aid the translation process, resulting in improved speed and accuracy.The software helps with spellchecking, text alignment and creating glossaries and Translation MemoryCAT tools are to a translator what Photoshop is to a designer. Sure, you can translate without them, but these tools radically improve efficiency; they lower word counts and ensure consistency – reducing costs and improving quality in the long term.Learning to use them will increase your chances of working with both translation agencies and end-clients. Translation memories (TMs) are databases of translated text, separated into segments. The motto of translation memories is “never translate the same sentence twice”. As the translator translates, the tools automatically build up a database of both the source and the target language. When the translator encounters a similar sentence in the source text, the CAT tool can suggest a translation based on the translation memory. At this point, the translator can decide if the translation is appropriate or if it should be changed. It is important to note this is NOT an automatic translation, as the text needs to have been manually translated beforehand and often requires manual editing. TM is very useful for large projects for repeat clients. A company with extensive Translation Memory libraries will notice huge savings in the long term, as well as consistency of terms across multiple products, websites and territories. The term “machine translation” (MT) refers to the use of computer software to translate text automatically. 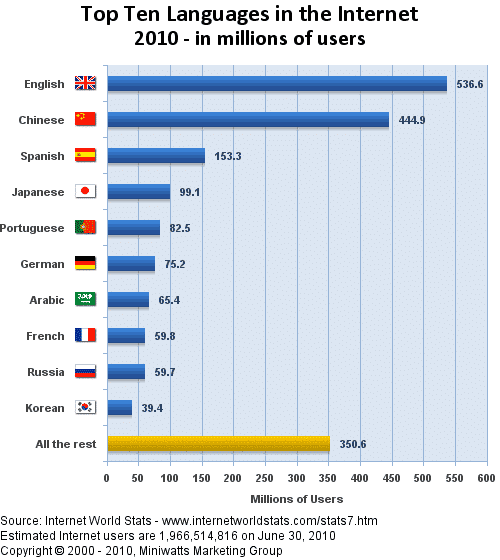 There are two types of machine translation: rule-based, where software attempts to model the rules of a language; and statistical, where the computer attempts to learn from large amounts of text that have been previously translated. Although great advancements have been made in recent years, machine translation should not be used for business-critical content, as the quality is currently far inferior to human translation.